A lot of tea mugs have crossed our desk, but never this one. We have seen this one in pictures online, but never seen one in person. 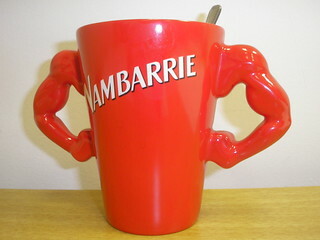 The classic Nambarrie Tea mug is based on the company slogan Nice and Strong. Thanks to Olly Farrell for the picture.